I'm not at all certain how much stamping I will be doing in the coming weeks so my cards may be few and far between but we'll see what works out. 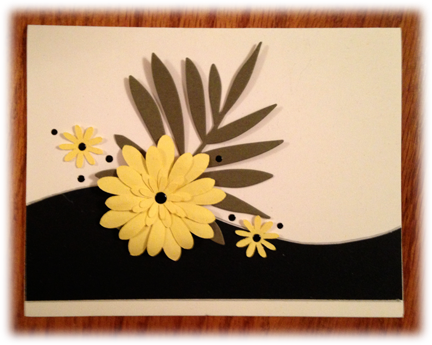 I found the foundation for this card when I was sorting through more of my supplies and simply had to add the Hero Arts die cut leaf and the Obsession Impressions die cut flower along with the smaller punched flowers. It screams "sunshine."